With no host for ABC’s Oscars -- and a week to go before the big event -- the network has been airing about the same number of TV show promos as a year ago, featuring primarily creatives focused on movies. So far, ABC has run 691 promo airings, yielding 329.2 million impressions through February 18, according to iSpot.tv. Prime-time airings from a number of creatives came in at 4 (Feb. 13); 9 (Feb. 14); 8 (Feb. 15); 10 (Feb. 16); 22 (Feb. 17), and 7 (Feb. 18). A year ago, leading into the last week of the show (which aired March 4), ABC ran 672 airings, and totaled 343 million impressions. This year the show will air on February 24. Other creative executions pulled in from Disney-ABC’s entertainment and sports programming personalities include those for Disney Channel and ESPN, which tout compelling entertainment reasons to watch. Past Oscar TV promo efforts have included similar creative work -- but also included many promos featuring the host, like Jimmy Kimmel of a year ago. The Academy of Motion Pictures Arts and Sciences decided to forgo an overall host for its Oscar awards event this year after Kevin Hart pulled out in response to homophobic tweets he made years ago. 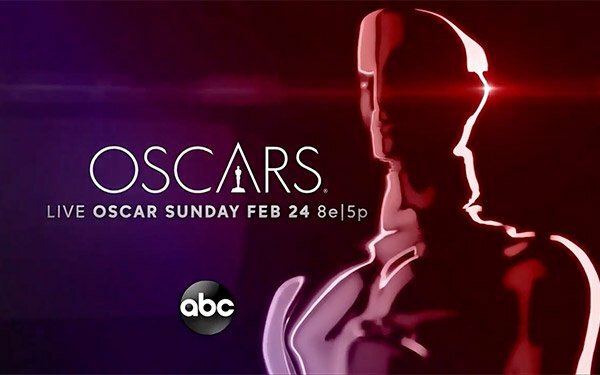 Kantar Media said the Oscar broadcast pulled in $149 million in national TV advertising a year ago, averaging 11 minutes/46 seconds of advertising time per hour for the three-hour-plus show. The total was $128 million in 2017, and $115 million in 2016. The average 30-second commercial was $2.11 million in 2018. The big advertisers of a year ago were Samsung, General Motors, and Walmart -- each spending $16.8 million, followed by Yahoo at $10.5 million and Google, with $8.4 million.